What Is a Lr6 Battery? An LR6 battery is the International Energy Commission's (IEC) designation for a specific sized battery that uses alkaline cells. 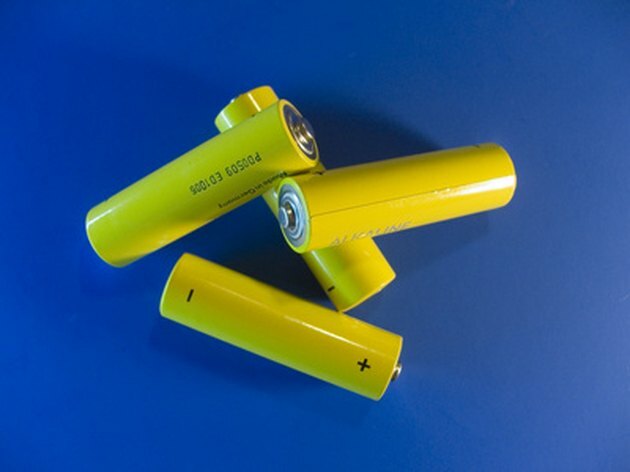 In the United States, these batteries are typically referred to by their size, such as AA. LR6 is the IEC's battery designation. In the United States, LR6 batteries are referred to as AA batteries. An LR6 and AA battery are the same. Under DIN designation, an LR6 battery is known as an E91 battery, and under JIS, an LR6 has a designation of AM3. In China, an LR6 battery is typically referred to as a #5 battery. While in Germany this battery is called a Mignon. During World War II the AA battery entered government and commercial life, so it became necessary to standardize it. In 1947, the American National Standards Institute wrote the AA into battery standard. The energy output of alkaline batteries is relatively high, especially when compared to carbon-zinc and similar batteries. However, alkaline batteries are not rechargeable and must be recycled or thrown out after one use. Because of this, NiMH or NiCD batteries are more functional, as they come in the AA or LR6 size, and with a battery charger a NiMH or NiCD battery has 1000 recharge cycles. What Is Reserve Capacity in a Battery?